The following are excerpts of statements made by Iranian military commanders from a LBC TV report which aired on May 3, 2009. The 2 minute 15 second news report is available on the MEMRI TV website. Does Israel lack the military might to go to war with Iran? Should the Middle East feel secure with Iran as a neighbor? Could the Iranian military utterly destroy Israel in a mere 11 days? I can’t help it, but my first response is to laugh out loud (LOL!!!). Do the Iranian generals really believe what they are saying, or is it just a bad case of team spirit? Pass out the pom-poms! Does the Iranian press really believe Iran is the loving dove the world enjoys having as a next-door neighbor, or do they know not cranking the wheel of the propaganda machine will lead them to their own mysterious disappearances? Sharpen the scimitar! And, do the Ayatollahs and imams really believe the Koranic law forbids the building of a nuclear weapon, or are they practicing al-takeyya, the Islamic principle of lying for the sake of Allah? Got a ruler for that nose? With the fall of their leading contender — Iraq — and the cowing of the United Nations and USA over their nuclear ambitions, the Iranian leadership is feeling full of themselves these days. They are funding Hamas, Hizbollah and every other terrorist organization in their underground war with Israel, knowing full well the Palestinians’ world-encompassing sympathy will keep their covert battle going without interference. The world is even endorsing the war on Israel with endless UN resolutions and billions of funding going to the terrorist Hamas government of Gaza. With big partners like Russia and China on their side, Iran feels they have some big bouncers in the room to protect them. Iran is very close to having a nuclear weapon and knows the liberal leadership of the world lacks the desire to confront them with more than words and embargoes. And, the world needs Iranian gas, reacting like a drug addict who hates yet loves their pusher at the same time. Iran has a lot to feel empowered by. But, Iran has deeeeeeeeply underestimated Israel. Israel has the fourth most powerful army in the world. Israel is hardened by six decades of war and self-defense. Iranian scientists look like they only have GED’s next to Israel’s MIT doctorates. Israel now has massive deposits of natural gas that frees them from any need of foreign energy dependence. And most importantly, Israel has the God of the universe and His promises on its side. Based on Bible prophecy and the unfolding of world events, my best guess is that Israel will have to deal with the Iranian nuclear threat very soon. Iran will saber rattle all they want because they in truth lack the intestinal fortitude to wage a one-on-one war with Israel, preferring to hide behind Palestinian women’s burkas. Instead, Iran will wait to be hit first. Iran is in for a surprise, though, because the most effective solution to knocking out not only the Iranian, but also the Syrian, Hamas, Hizbollah and every other hostile Arab threat to Israel will be to destroy the hatchery to all these threats — Damascus. 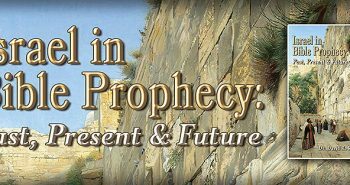 Isaiah 17 prophesies just that event, as Israel destroys the ancient city in just one day, probably with a nuclear weapon. Once Damascus’ destruction has set the Islamic world reeling, I could see that Israel will feel emboldened and go on the offensive. Israel will subdue their hostile Arab neighbors states and subjugate the Palestinian threat, according to Psalm 83. Israel will enjoy a time of peace which Iran will put to good use to regroup and gather a coalition of Muslim nations led by a ruler from the ancient lands once covered by the former Soviet Union, along with Turkey, Sudan and Libya. These nations will together feel strong enough to battle Israel, only to find God waiting on the mountains of Israel to crush them in the Ezekiel 38-39 Gog-Magog Battle. Iran in utter shambles, the future empire of the Antichrist will walk in and claim Iran’s land and resources for his own. No matter what Iran says today, it only has a great series of defeats ahead of it. They must read the Bible!! A comment on shari’a not allowing nuclear weapons. A couple of years ago an Islamic imam stated that the Qur’an DOES allow the use of nuclear weapons. They are practicing al-takeyya when they say it doesn’t. The Qur’an states, and I quote, “And prepare against them [Jews and Christians] what force you can….” Surah 8:60. And: “So when the sacred months have passed away, then slay the idolaters [Jews and Christians] wherever you find them….” Surah 9:5. The last time I checked, nuclear weapons qualify as “what force”. And I wouldn’t doubt that they won’t try something after Ramadan of this year. I would not be surprised if Damascus weren’t a smoldering crater by the end of 2009. Israel will never fall again!!!! God said it. I believe it. El Milenio, my friend, Muslim teachers do read the Bible, but they believe that the Jews and the Christians (what they call the people of the Book, the Bible) changed what the Old Testament says to make it look like we are of the true religion. Mohammad transcribed the Qur’an which he got from the archangel “Gabriel” (which I doubt was the real Gabriel), to correct what we Christians and Jews altered. We should definately be praying for Israel AND her enemies. This is a defense strategy I never considered. Nathans progression of events seems logical. 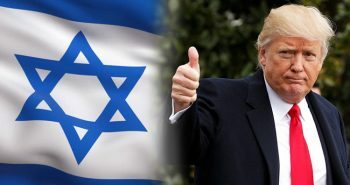 What adds to the probability of these things happening soon is The President of the United States and his State Department’s moving to abandon our Ally Israel and even turning against Israel. 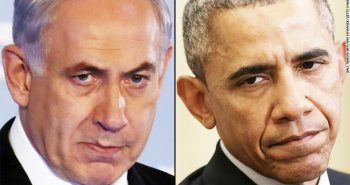 No doubt if America is no threat to those who will attack Israel, they surely will do so. I really don’t expect to know for sure who Antichrist is, but If we see the President of the USA bowing down to a European (Roman) leader we might have a clue. I wouldn’t be suprised If we see Damascus destroyed and persecution of Israel and the Church before we go. From a pre tribulation church rescue, dispensationalist viwpoint. I believe Iran, or for that matter, any country with the proper nuclear arsenal and abilities could wipe out Israel within 11 minutes IF (the biggest “if” I’ve ever typed in my life), IF they were not under the protection from such a fate of the God of Abraham, Jacob and Isaac. But since Israel’s fate is controlled by God, you loony, evil, sick, twisted, satanic, crazy Iranians are impotent! LOL at you delusion Iranians! I am still shaking my head. Mentioned the Damascus prophesy to a “non” today and his response was……”I am not impressed with prophesy”. My husband and I were just talking this evening over dinner, that we expect anytime to turn on the TV and hear that Israel has nuked Damascus. I keep saying that the best proof against the Replacement Theology teachings and advocates is the very existence, survival and development of Israel. Nathan, I have a question for you: If Israel attacks Damascus with a nuclear weapon, what do you think would stop Russia doing the same against Israel? And why do you think that she won’t act when Israel is launching its offensive against the inner circle of arab nations in the Psalm 83 War? Donald, I think Russia at this point is content to be the weapons supplier/provider and let other nations in the Middle East do their dirty work. When Israel is in a position to control the Middle East resources, Russia will make their move first-person in the Gog-Magog Battle to insure their stake in the wealth (the hook that draws them down) is secured. Donald, you didn’t ask me but this is an open forum so I’ll throw in my two cents worth (probably all it’s worth). My answer as to what would stop Russia from nuking Israel is the same one as to why the US and USSR haven’t nuked each other up to this point…God will not allow it until He is ready to allow it. There can be no other explaination as far as I can figure. Oh man! You Bible Thumpers and Christian extremists are so funny! So God, the Creator of the Universe is favoring one nation (Israel) to take over the resources in the Middle East. Now isn't that what all this fear, and war mongering against Iran is all about? Take over all the natural resources for the benefit of an elite few? Could Iran destroy Israel in 11 days? Maybe. After all the mighty Israeli army has more than it's hands full with a few thousand Hezbollah fighters, let alone an organized professional military that Iran has. No I don't want war, and don't want to see either nation attack each other, but if you think about it, the saber rattling comes more from the Israeli, and it's allies. Please leave God out of this. This is the doing of Mankind. 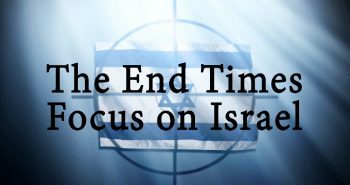 i dont care how many armies,thugs and murdering muslims come against ISRAEL,they lose period.the bible is very clear on the subject.they are the apple of His eye.all who come against her will be broken in pieces.i have heard on tv and the internet, well respected prophecy teachers make some rather foolish statements about what is going to happen this time or the next and so on.the Bible interpretes itself.prophecy is not laid out chronologically.from genesis to jude we are given bits and pieces and then revelation tells the story of a mankind that didnt listen.we have some in daniel,ezekiel,obedia amos genesis,in fact the entire book is prophetic.its our job to search and research like detectives to piece it all together.God didnt give the writers the whole picture and he doesnt do it for us either.so one prophecy teacher will state one view,ignoring in some cases prophecy that continues on in theme but they diregard it.they should and i try and live by this,say that its my interpretation/opinion.for instance psalm 83 war along with ezekiel 29 and isaiah 17 and following.some swear it all happens during the gog/magog war during the actual 7 year false treaty with Israel.thats just plain NONSENSE>they ignor the fact egypt will also be destroyed syria lebanon,ect.the very math doesnt even add up.then the russian and outlying muslim nations that wre not killed in the regional war, are drawn into a final attempt to wipe out Israel.then the antichrist and armageddon and Jesus comes back,with us to set up his kingdom i think these people are, in most cases well meaning,but they are flat wrong period! !la marzulie just stated in an interview about his latest cd watchers 3 that gog/magog is the very next war.because ISRAEL is living in unwalled villages —WHAT—rockets everyday,he ignors the whole passage about living securely in the center of the land,discovering vast amounts of oil etc.but, he like so many others write books,make dvd's interviews after interviews and the plain simple truth is they dont know what they are talking about.people who dont read and ask GOD to reveal the truth are then confused,misled,etc.i have studied prophecy for over 34?years and God is still opening my eyes to new stuff.i dont write books,tho maybe i should,to debunk the nonsense out there,i dont do interviews,or make cd's.but i have been called to be a watchman on the wall,a street evangelist,a prophecy teacher if it comes up in my witnessing (both the ability to understand/explain it). 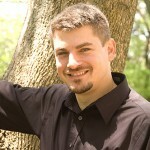 (not this so-called new revelation garbage.all the answers are there.do i have all of them,heavens nooooo!!! but HE, KING JESUS does!trust HIM today,would you.hes waiting!